Teaching – learn art and have fun! I love to teach. Seeing the creative spark ignite in others is extremely motivating. I help others learn by hands-on instruction, starting with a demonstration. Tailored to the student’s needs I’ll introduce a variety of watercolor or other media techniques, providing encouragement and guidance as they discover their own creative and artful experience. Here are some in-class watercolor examples from earlier sessions. Click the thumbnail to see a larger view. 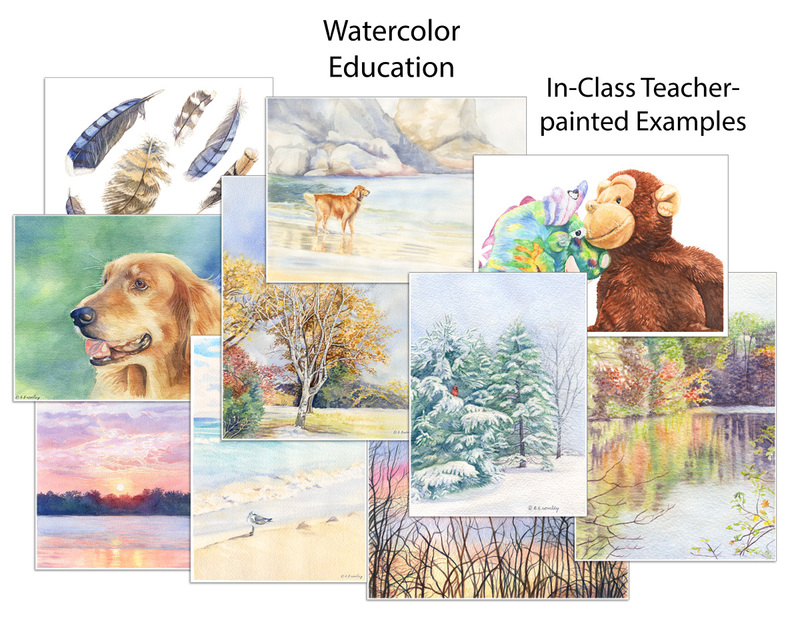 You too can learn creative media including watercolor, pastels, pencil, and pen & ink. For individual or group learning in the Lexington KY area, please use the contact page to reach out to me, or see me at my studio. Original artwork and prints are available from my Lexington KY studio, or you can contact me for other arrangements. Greeting cards can be purchased in Lexington’s Decorator Warehouse, or at the studio. I will paint or draw your loved ones and pets to your specification. This art can include portraits for your wall, prints, and cards. 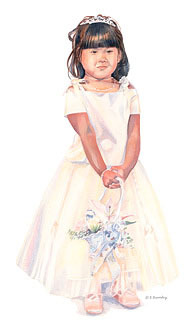 Consider the value of artist-rendered portraits for weddings and other special occasions. Please contact me for art to meet your need!